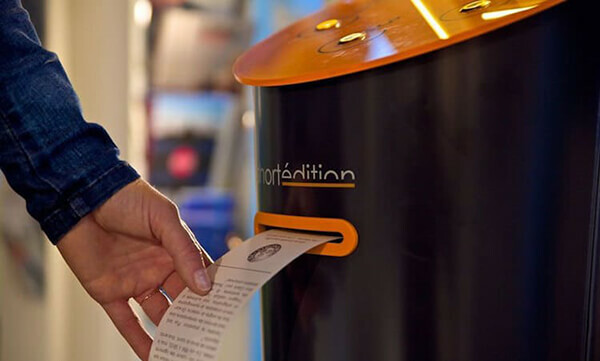 If you visited France recently, you might already noticed that the orange little vending machines at the airports, stations, university campuses, malls and retail chains. 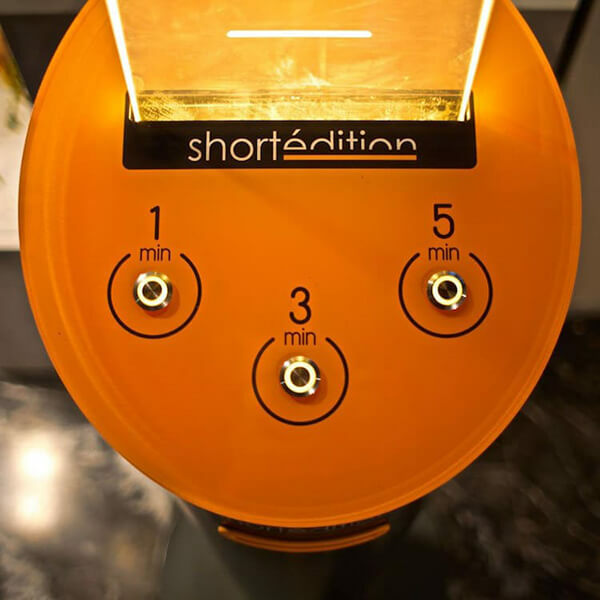 Instead of dispensing sweet treats or sugary drinks, however, these awesome little kiosk/machines are designed to provide you short stories. 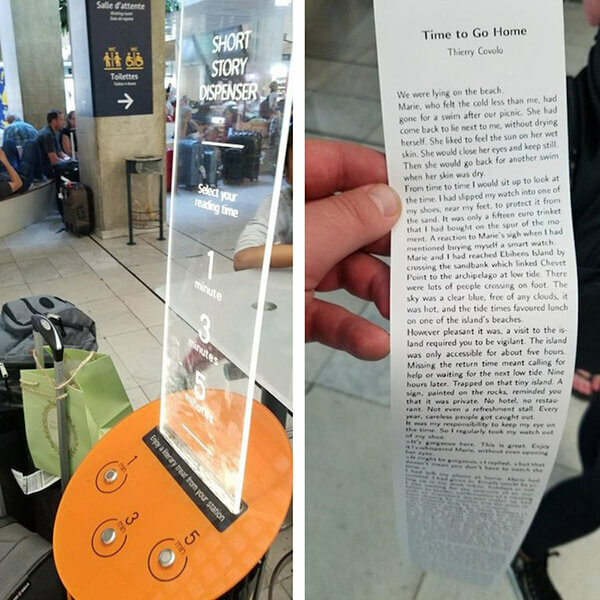 Created by literature-loving company Short Édition, these savvy stalls promise to help you kill the time – no matter you are waiting at the airport, stuck at the train station, or even accompanying your significant other on a shopping trip. To use the innovative inventions, simply choose your desired reading time: 1 minute, 3 minutes, or 5 minutes. 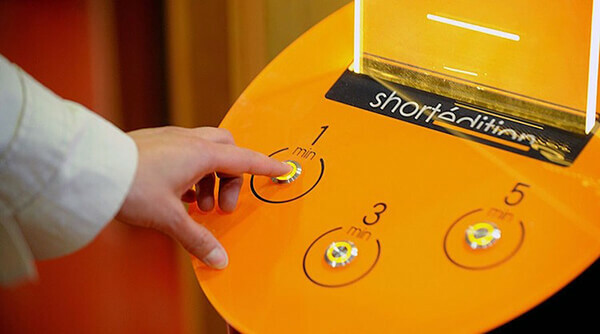 Then, the machine will surprise you with a randomly-selected short story to occupy your time and make waiting around a bit more bearable. I would love to see these machines come to Toronto.